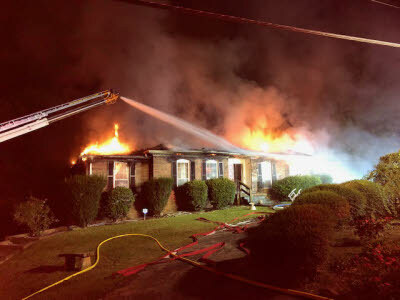 A home in the Hidden Harbor subdivision was damaged by fire Thursday evening. 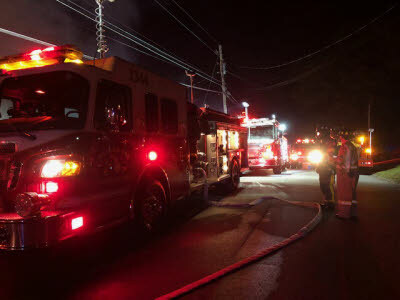 At 8:20 p.m., a homeowner called 911 reporting a house fire at 1626 Rock Bluff Road. The Dallas Bay Volunteer Fire Department responded and arrived on the scene reporting fire through the roof. Dallas Bay immediately requested a Mutual Aid response for additional fire apparatus and personnel. 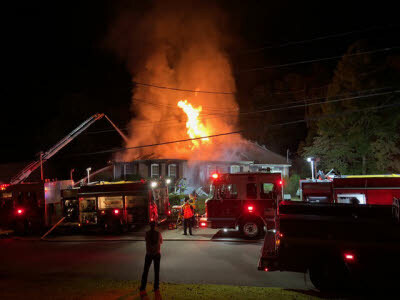 The Red Bank Fire Department and Mutual Aid Chief Mike Williams responded to the scene. The homeowner reported to fire officials they smelled something burning in the house. They went to investigate and found heavy smoke in the garage. Three adults escaped the home without injuries. Fire officials reported the fire started in the garage. The cause of the fire is undetermined and will be under investigation by the Hamilton County Sheriff’s Office. Damages are unknown at this time. The homeowner was insured and the American Red Cross will assist the family with their immediate needs.